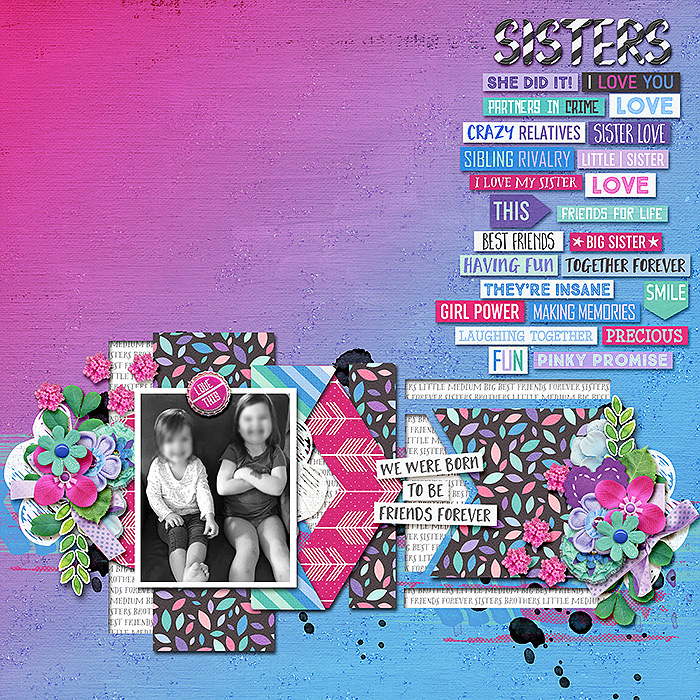 Love how you were inspired by all the word bits and loved how you incorporated them into your layout! Love all the fun word tabs here! Great girly page! Love the striking colors and all those word strips you've used, Lea!